Get out of the city and eat a traditional Slovenian meal at a countryside restaurant on this food tour. Depart from your hotel in a private vehicle and make your way to the village of Dolsko. At a traditional village restaurant, learn about Slovenian cuisine from your guide. 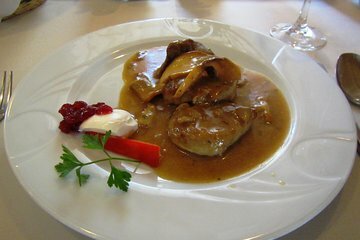 Sample a wide variety of Slovenian food as you enjoy your 4-course meal.